No task is too big for Vivien. In her former role with a mobile library service, she delivered heavy video machines and carried computers up four floors – work that was later assigned to two men with a van. 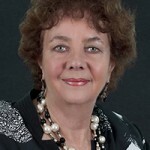 It is an example of Vivien’s can-do approach, which saw her follow her passion for writing, through enrolling in the Diploma of Arts (Professional Writing and Editing) at Box Hill Institute, where she was told that TAFE students had a higher rate of publication than University students. Since then Vivien has been out there proving it. She has been published in The Age, Overland, Senior Traveller, Zest for Life, Inkshed and the Italian Historical Society Magazine and written restaurant reviews for Mietta. Her memoir Marrying Italian: When Love is Not Enough is available from Hybrid Publishers, Booktopia and bookstores from September 2013.